Guest/Part -Time Lecturer at SLIET, Longowal from 24th August, 2017 . Assistant Professor at S.D. Kanya Mahavidalya, Mansa 1 August 2016 to 22 August 2017. 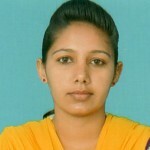 Assistant Professor at Gurdasidevi Institute of Management Regular Degree College, Budhlada from July 2014 to July 2016.